Who is it for? 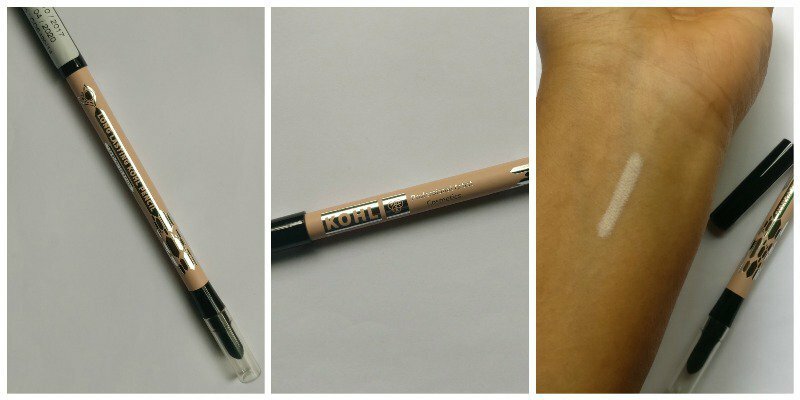 PAC Longlasting Kohl Pencil Skin Is for those looking for a white or skin colored kohl that is long lasting, to open up the eyes. Like all the other kohl pencils from PAC, this one too comes in a black zipper casing. I love it! The pencil packaging is in skin color with a black cover to it. On one end is the pencil and the other end has a smudge, great right! The Kohl doesn’t really have any noticeable fragrance to it. The staying power of PAC Cosmetics kohl pencils is just amazing. They stay on for hours without any touch-ups. This kohl is definitely waterproof. I’ve applied the product on my hand and put it under running water and no change at all. Also, I’ve used it on brides and there’s been no issue at all. It doesn’t smudge at all. I’ve tried rubbing it off but it doesn’t move. It only comes off with a makeup remover. The texture of the kohl is smooth and creamy and glides on very easily. No irritation at all. Obviously, I’ve used it on the lash line and there hasn’t been any problem, ever. 1. No complaints as such. But it would have been nice if it had come with a sharpener. For sure. It’s one of the best kohl’s that I’ve ever used. And it’s something I recommend to anyone who asks. Halasana Benefits – All You Need to Know! The shade is also good; not pure white that sometimes looks unnatural.